PMGroup are very grateful to the following sponsors for their support of the 2019 PMEA Awards programme. IQVIA (NYSE:IQV) is a leading global provider of information, innovative technology solutions and contract research services dedicated to using analytics and science to help healthcare stakeholders find better solutions for their patients. Solutions are powered by the IQVIA CORE™, which combines big data, advanced technology, analytics and extensive industry knowledge. 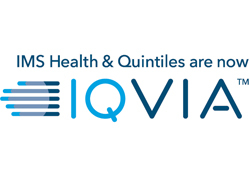 Formed through the merger of IMS Health and Quintiles, IQVIA has approximately 55,000 employees worldwide. Learn more at iqvia.com. Bring your dreams, ambition and talent. We supply the magic. We are a global family of healthcare communication companies who bring magic to our clients, programmes and our Lucid teams. Our purpose is clear — To enhance patients’ lives through communication that changes behaviour and improves patient outcomes. We are pioneers in the health world. We were the first to incorporate health psychology and behaviour change principles into medical education. We were the first to demonstrate healthcare professional behaviour change and its impact on patient outcomes. We have a talent for working together to build the best. To forge relationships that help transform the lives of those we touch. By harnessing the dreams, ambitions and talent of those we work with, we create exceptional programmes that stand out and really impact patient outcomes. And our service ethic is second to none. If you can dream it, we can achieve it. Our goal is clear — To transform lives. Always. And we spread our magic across the globe, with offices in Buckinghamshire, Macclesfield, London and New York City, US.